Call upon all activists – Urgent Help Needed – West Belfast !!! 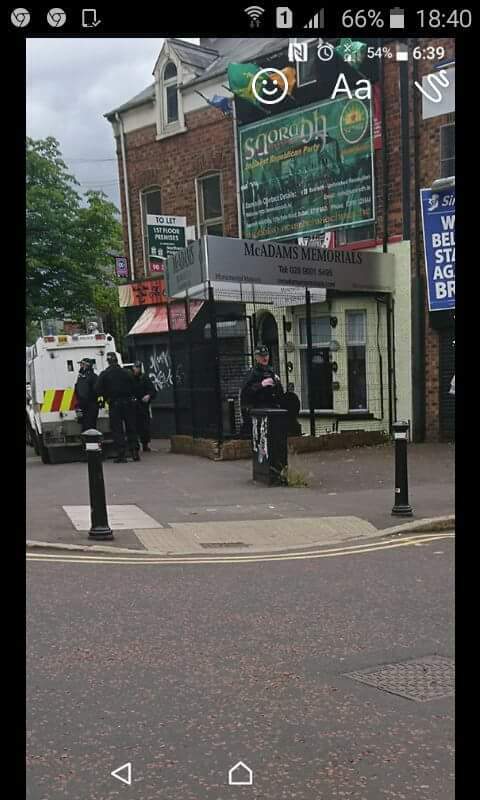 Saoradh Béal Feirste call upon all activists to immediately make their way to the national office on the Falls road which is currently being targeted in a raid by the British crown force militia. With many thanks to: Saoradh Béal Feirste. Author seachranaidhe1Posted on June 12, 2017 Categories Saoradh Béal FeirsteTags black bastards, British Crown Force militia, Call upon all activists - Urgent Help Needed - West Belfast, RUC/PSNILeave a comment on Call upon all activists – Urgent Help Needed – West Belfast !! !